ABBA On Record – Packaged Promoted Reviewed by Carl Magnus Palm widens the scope of the author’s most recent book, the critically acclaimed and award-winning ABBA – The Complete Recording Sessions, by taking a look at what happened with ABBA’s music once it had left the recording studio: single by single, album by album. It will present the stories behind the iconic album sleeves, explore how the record companies worked with ABBA releases in presenting them to the record-buying public, show what kind of success – or lack thereof – they enjoyed, and present a selection of review excerpts to give a flavour of how the singles and albums were received by the media at the time. This eye-opening story, based on original archive research and extensive interviews with record company people, provides many new insights into the ABBA universe. The book also features supplementary sections, no less fascinating than the main story. Perhaps the most exciting chapter examines the contents of several hours of tapes from the archives of Michael B. Tretow, ABBA’s trusted sound engineer. Tretow sometimes ran on-the-side tapes, capturing in real time what was going on during a recording session and offering a unique peek into ABBA’s working process as it really was. These revelatory tapes also feature alternate versions of familiar songs, along with previously unheard tunes that were never recorded properly. Furthermore, there are tracks that were considered for the 1994 box set Thank You For The Music and/or that box set’s 23-minute medley of outtakes, ABBA Undeleted, including some recordings that were rejected, and some that made it into the medley but are featured on the Tretow Tapes in more complete form. • The Music That Inspired Them – a detailed essay exploring the four members’ musical influences, or simply the music that they themselves enjoyed as children, teenagers and up until the ABBA era ended in 1982. • What Is A Schlager? – an attempt at explaining in more detail this genre of music from continental Europe, an important ingredient in ABBA’s mix of influences throughout their career. • Lyrics Sentiment Analysis – an ABBA fan who works in statistics and data analysis has analysed ABBA’s lyrics with some interesting results. • The New Songs – as has been widely reported, ABBA went back in the studio in June 2017 to record two new songs for their forthcoming digital avatar live tour; the new songs will of course be discussed in ABBA On Record. 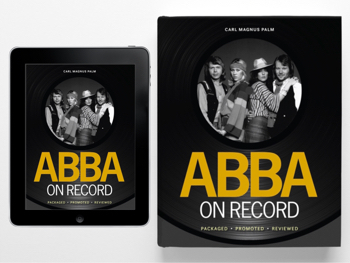 The 448-page book ABBA On Record – Packaged Promoted Reviewed is designed by Maria Nicholas, the art director who also designed the revised and expanded edition of ABBA – The Complete Recording Sessions. The first edition is hardcover, 200 x 240mm, clothbound with dust jacket; both cover and insides are printed in full colour, and the inside pages are on high-quality matte paper stock. For more background information on the book, visit the author's website. Or simply scroll down to order. 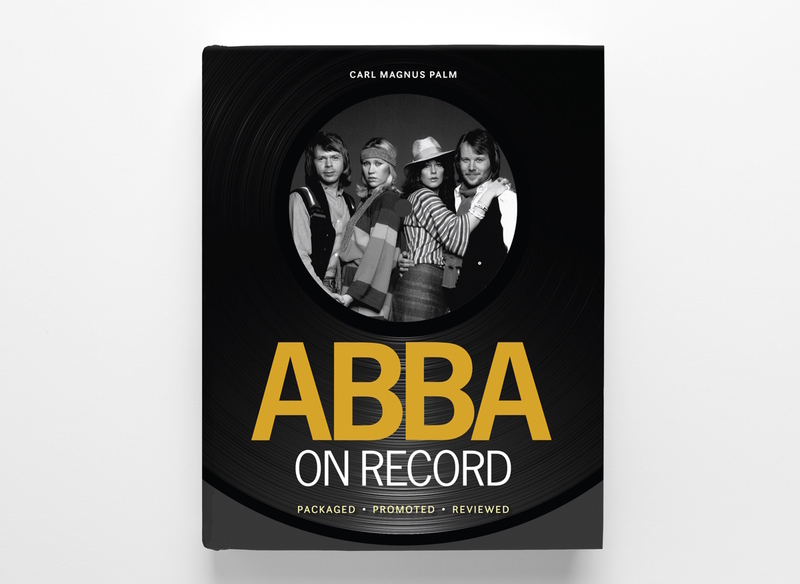 ABBA On Record is presently scheduled for publication late 2019/early 2020 and you can pre-order your copy on this page. 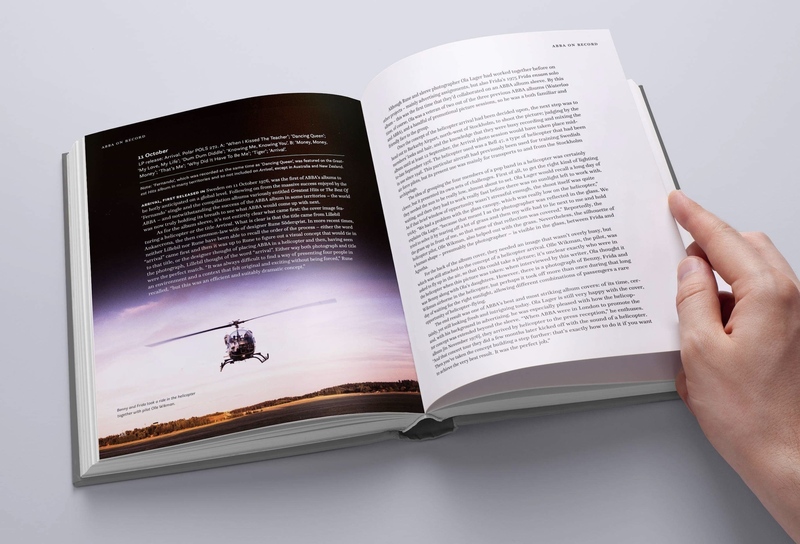 Everyone who pre-orders the book will have their name listed in the book and will also get their hardback book signed with a personal dedication from Carl Magnus Palm (for practical reasons, the author will only be able to sign “To [your name]” and then his autograph). After pre-ordering ends, no further copies of this book will be signed by the author. There are three different ordering alternatives. All prices include shipping, but because of differing mailing costs, the prices for the physical book vary between the three shipping areas: United Kingdom, Europe and Rest of World (see below). Please note: Orders from Russia count as rest of world. Book orders are placed through PayPal. If you prefer to pay via credit card, you should be aware that PayPal can handle credit card orders – you don’t need to have any money in your PayPal account to use it for credit card payments. The PayPal account itself is free – you won’t be charged any additional fees. The book will be mailed to the address given in your PayPal account at the time of placing your order. Please make sure that your address is complete and accurate, as we cannot accept responsibility for books that are lost as a result of being mailed to an inaccurate address. Also, if you want to be listed in the book as a pre-order contributor, please ensure that your name is properly listed on PayPal (not just “M. Smith”, for instance). If you have special instructions regarding your order (such as change of address), please send an e-mail to cmp@carlmagnuspalm.com. Storage of information related to sales of ABBA On Record is handled in compliance with GDPR (General Data Protection Regulation). 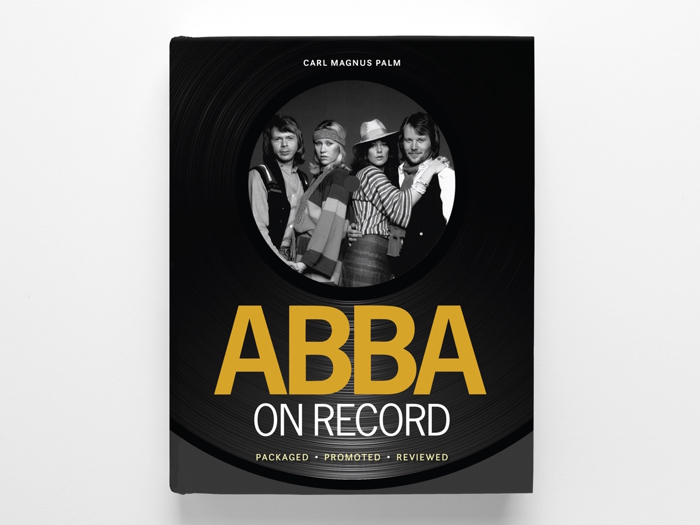 When you order ABBA On Record, your name, address and email address, provided by PayPal as you place your order, is stored for use in relation to shipping of the book and communication with you as the customer. Your personal data is not sold or in any other way distributed to a third party. Your email address may be used to provide you with information related to books and other products produced and/or sold by Carl Magnus Palm. Upon receipt of such an email, you will always have the option to unsubscribe from any future mailings. Printed version of ABBA On Record. Hardcover, clothbound with dust jacket, printed in full colour. Prices include shipping. 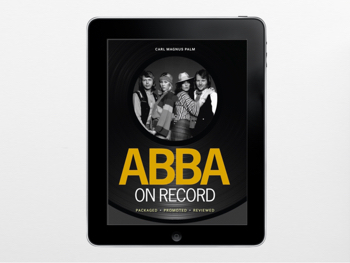 Digital version of ABBA On Record. ePub, PDF, and Mobi formats.